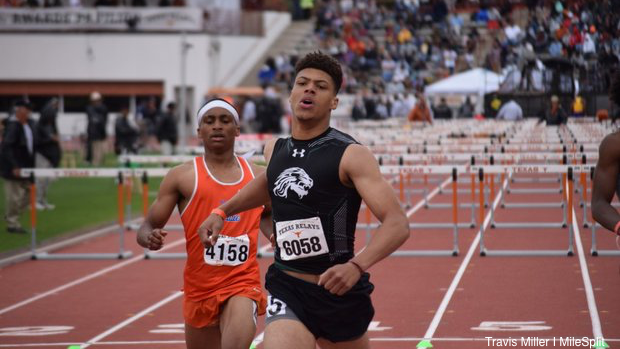 Who are the best hurdling teams of 2019? Well, you won't be surprised to see some familiar names at the top of the list like Fort Bend Marshall boys and the DeSoto girls. They are at the top as they usually are, however there are some programs that might surprise you. I will say that the Lancaster boys always has some good hurdlers, but the crop they have this year is pretty darn impressive. They are also joined by the girls from their school near the top of the team rankings. If you want a surprise then take a gander at the San Antonio area in the UIL 6A classification. The Reagan boys have hurdlers galore and they are having a good season as well. Click the links to find out who actually has the best team average and who they have on their team roster who is tearing it up in 2019.